What is a reasonable weight for a vee piston (1200)? 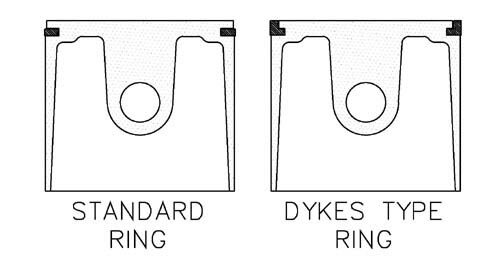 How do I tell if I have "dykes" rings? Which groove(s) should I use for things like oil rings? Could someone post a picture of a "properly set up" piston? Dykes rings have an "L" pattern we also use an inner spacer. This is a picture of a Dykes ring. Sorry for the large picture, it the only way to see it clearly. or piston rings = 330.0 grams"
BUT,,, a lot of tech stuff to do it right, better have it done by an engine builder..
Veefan is right. Unless you have a lathe and an accurate scale it'll be tought to reduce weight. Not to offend... but quite frankly, based on the questions you've asked, I'd defer the project to an experienced builder. Next to prepping heads properly, P&C prep is very challenging and requires a lot of equipment. Didn't want to start people thinking I was going to do black magic on a regional engine! Just wanted to get some idea of what to do with the pistons. It looks like pistons, rings (didn't want to pull them off) and wrist pin come in at 406 gm +/- 0.5 gm. I think that is probably "balanced. They are in very good shape. No grooves, scratches or cracks and the rings look good, still pliable, gap fairly consistent. NOT dykes, two solid and the lower ring appears to be "oil" ring. I am willing to use them and I "assume" the rods were most likely also balanced. The latest question is; (number 1 rod seems to be "binding up" a little. The other 3 move very easily. I think I understand the rod bolt issue) Can I unbolt the no 1 rod, clean up the rod bearing with paper towels and bolt it back WITH THE SAME ROD BOLTS? Anything less than the dykes top ring is a complete waste of time. The rod bolts must be ARP, the stock units are just a gamble. The rod caps need to be trued up during installation. Not sure this can be accomplished with the crank in the case. What does 'trued up' mean? Also, can the ARP bolts be re-used on the rods? Oil rings never need to be changed unless you have an oil control problem. "looks good" isn't close enough. The ring lands are the most important part of the sealing component. The lands/rings must have NO side wear, nicks, etc. The cylinders must be round. Pistons are usually lightened by cutting the top. This requires shortening the cylinders also to get acceptable deck height. Dykes rings won't help if the above items aren't perfect. 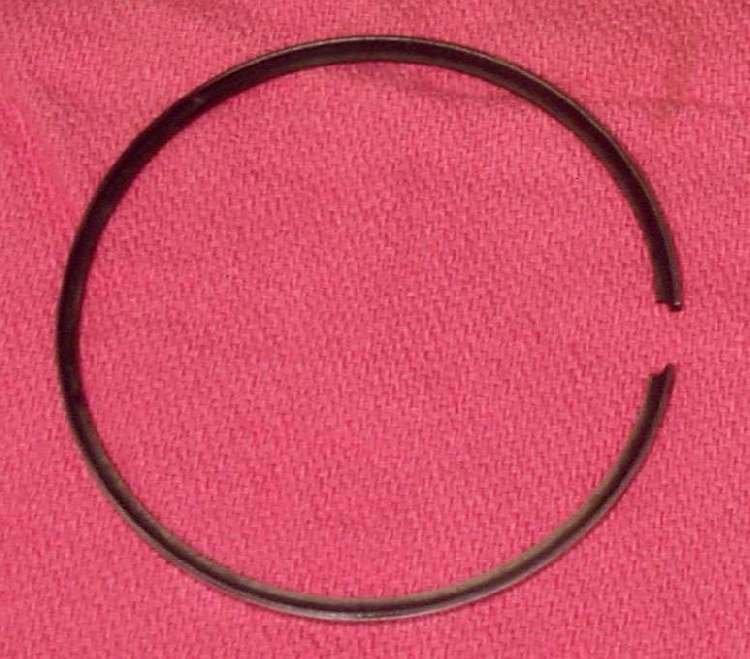 The top ring is the important sealing ring. The second ring is along for the ride and is an oil scraper. The oil ring is the bottom ring.